Those self directed IRAs that hold platinum among their other types of investments are sometimes called Platinum IRAs. Such retirement accounts allow you to buy and hold the four main precious metals of gold, silver, platinum, and palladium in either coins or bars combination. It is important to know and remember that not any version of platinum can be kept inside of your precious metals IRA. The reason for this restriction is that the Internal Revenue Service has provided strict guidelines for the specific requirements for platinum bars and coins which can be held inside of your IRA. Whether you like it or not, a significant quantity of historical, appealing, and beloved platinum coins and bars simply can not be purchased with or kept inside of your precious metals platinum IRA. This is all because they do not measure up to the minimum purity standards of the IRS, which are non negotiable. The clearest and most critical regulation relates to the IRS-mandated purity levels for any platinum held by an IRA account. Such stipulations require that every platinum bar or coin held by a precious metals IRA has to contain a minimum purity level of .9995, or 99.95 percent. IRS-qualified custodians must manage the self directed IRA as account trustees. 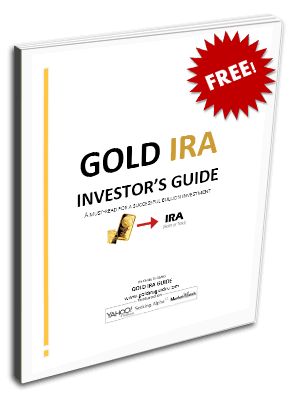 You are able to freely select from any well-regarded broker/dealer who partners up with either one or alternatively several different custodians so that they can help you to both setup and establish your IRA vehicle with the permissible platinum bullion. Investors are required to physically store their platinum in such a retirement account at an IRS-approved vault depository. Such vaults were designed to be both protected and safe facilities for storing large quantities of precious metals. The overwhelming number of bullion dealers will team up with the different precious metals IRA custodians and a respected depository such as Delaware Depository or Brinks Global Storage. In addition to the coins listed above, it is possible that there are other issues that still meet the minimum standards of fineness and are minted by a national government mint which qualifies. In this case, they might be allowable in your precious metals IRA. When you are stocking up your new or existing self directed IRA, remember that you need IRS-approved bullion. Avoid all collectible, commemorative, or numismatic coins to be safe. The overwhelming majority of these kinds will not be allowed within your IRA retirement holdings. Besides this, they are typically massively overpriced. In addition to the coins listed directly above, you should seek to avoid all collector, numismatic, or commemorative coins. These are undoubtedly beautiful issues, yet the IRS will not accept them as IRA-level investments. Besides this, they often come with too high premium price tags. Beware the opportunistic sales representatives that try to convince you to purchase such “unique,” “limited edition,” and “rare” coins. They are actually quite highly marked up so that very few of them will ever attain the lofty values necessary for you to even break even on them. There are a range of benefits provided by investing a portion of your precious metals funds into platinum. Such accounts are never dollar-denominated as with other kinds of American retirement savings accounts like 401k's. The ongoing decline of the American dollar will not devastate the value of the platinum you hold in such an account. When the dollar continues its depreciation march, this causes many investors to seek out precious metals as a means of safeguarding the value of their assets against inflation and depreciation. When the dollar declines in value, the prices of platinum and the various other precious metals go up conversely. The other principal advantage to putting some of your retirement funds into an asset that is famous for protecting you from devaluation and inflation centers on the opportunity to earn a substantial return on your investment over the longer term. A number of analysts concur that both gold and the other precious metals such as platinum will go significantly higher in the next decade. This is all the more possible with platinum which proves to be far rarer than both gold and silver do.